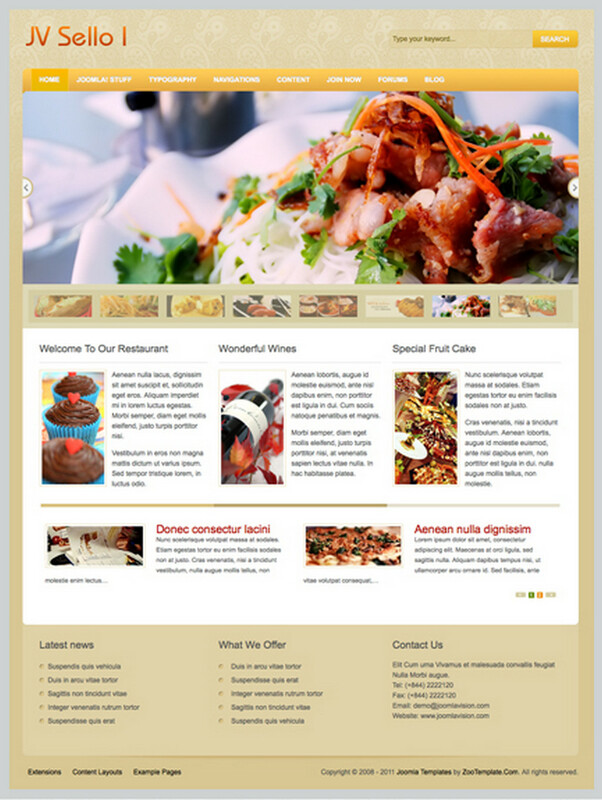 JV Sello - stylish restaurant template themes for CMS Joomla 1.5, developed by a professional team JoomVision. This template contains several color schemes that will give any website the original appearance. In the template, the best available studio expansion, support for Google fonts and various social services. Flexible modular layout and compatibility with all mobile and tablet devices, a huge list of features complement template. JV Sello - the perfect choice for cafes, restaurants and pizzerias.